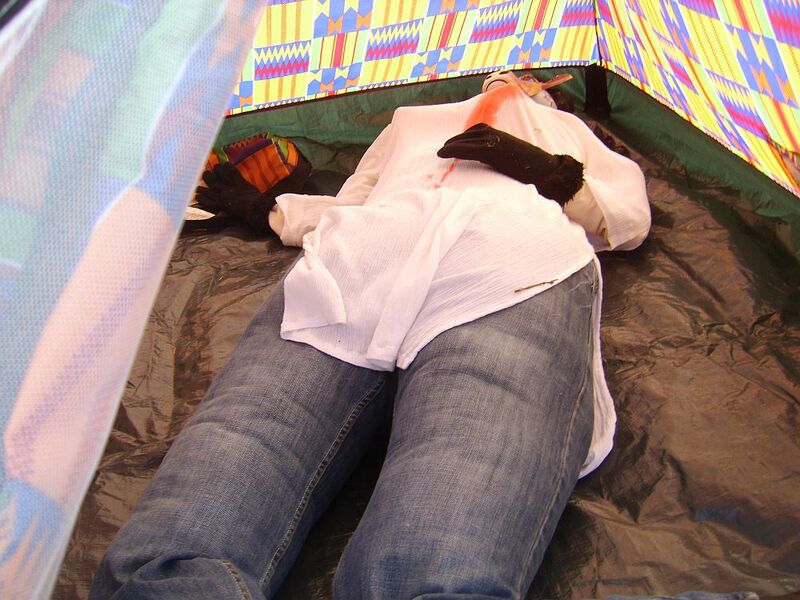 You’ve picked your murder mystery, you’ve invited your guests… but what about the dead body? Aren’t they invited too? 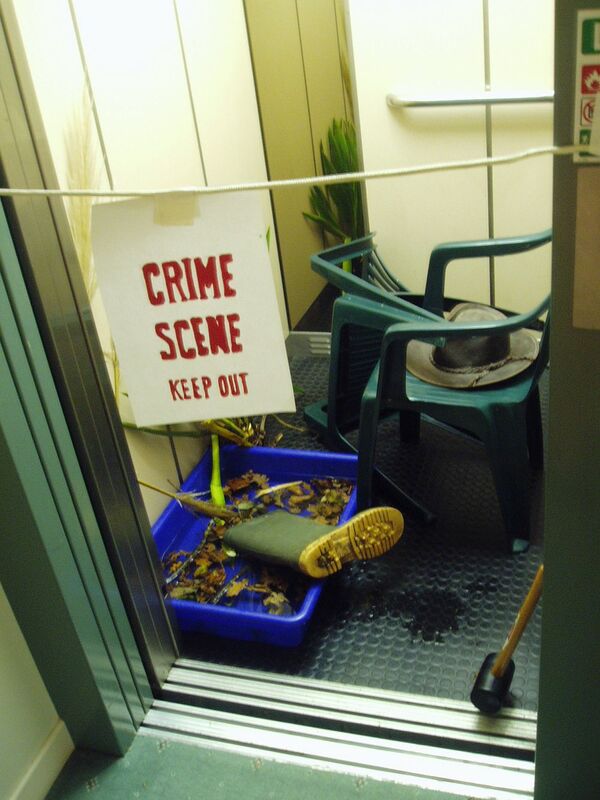 Five top tips to creating your crime scene. 1) Find out all you can about the murder before the party. Some games (like ours) have information on the crime scene in the inspector speeches you can access. (ours are usually in speeches 1 and 2 and reading them won’t give the game away!). You can use this information to set up the crime scene in the right place in your house. E.g. If it’s in the bathroom then set the crime scene up in the bathroom. If it’s in the kitchen, set the crime scene up in the kitchen. 2) Find the murder weapon used, if known, and have it present at the scene. it might be a sword, a skewer, a knife, a dagger, a hammer… whatever. it’ll add to the atmosphere. 4) Make a body outline. Use either chalk or masking tape to mark out a dead body outline on the floor. If it’s a pale surface then use black electrical tape to mark out the body. If it’s to be on carpet – why not use some carpet freshening powder – that will not stain your carpet, is easy to vacuum up, AND will leave you with a nice scent in the room the day after. 5) Tape, signs, tape and more tape! Go wild with the cordoning off the area and creating evidence markers. Crime scene tape is available from many joke shops and we also stock it too. Take a look at our Crime Scene Accessories – Prices start at just 99p for some authentic accessories, so there’s no excuse not to have the real thing!